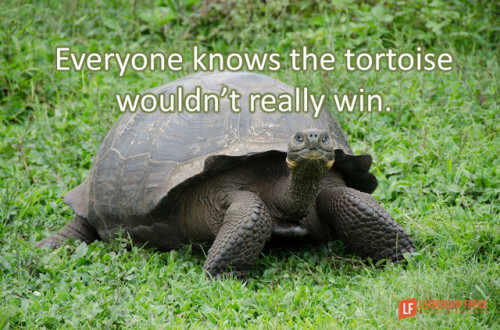 (via Six Seconds to Win) Slow and steady is a losing strategy…. Slow and steady is a losing strategy. Everyone knows the tortoise wouldn’t really win. You can’t give 100% all day long. Realistically, you might be able to sustain 70% or 80% effort for an entire day. Success includes short sprints in a long race.